"Better run through the jungle!" In the past few years, team based FPSs such as the Battlefield games, have focused on a modern or future setting. In terms of other wars, such as the Vietnam War, I haven't played a game set in Vietnam since Bad Company 2: Vietnam which was released 5 years ago, and that wasn't even a stand-alone game dedicated to the Vietnam War but served as an expansion/DLC for Bad Company 2. Nowadays, I play a game called Verdun every so often, when I want a refreshing change of pace to the Battlefield games as it is set in the boggy, hellholes of World War I along with all the weapons of that era. But as mentioned, no Vietnam War games since Bad Company 2. 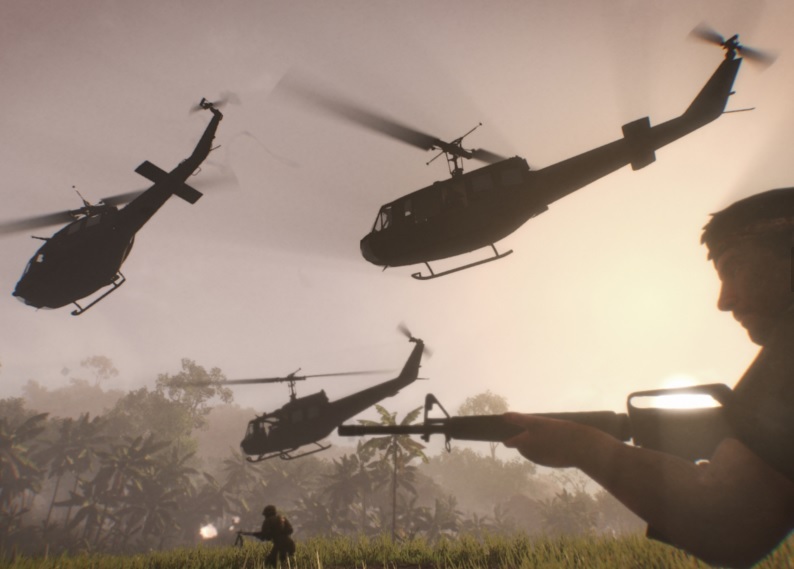 So Tripwire Interactive, the guys behind the critically acclaimed Red Orchestra series, Killing Floor and, of course, Rising Storm, are now apparently working on an asymmetric, team-based FPS set during the Vietnam War! A trailer was released a few months back and it was definitely effective in getting the team at Choicest Games hyped up since it featured all the things you'd expect from a Vietnam War game including CCR's "Run Through the Jungle" as background music. Unfortunately, since the trailer was released in the middle of this year, there hasn't been any further news on where the game is at. Here's hoping that it will be released sometime next year.